This is an excerpt from a blog post written by Mark Berry, an airline pilot. While most of the efforts seem focused on finding a crash site, Berry suggests we should instead be looking for an intact plane on the ground somewhere, one that could now be in the hands of terrorists who possess a potential weapon of mass destruction. Here is where my worst fear comes into play. What do the hijackers want? Traditionally they'd want asylum, ransom, and/or their comrades freed from prison. 9/11 caught the world with our pants down and a new breed of sacrificial hijackers killed 3000+ people with four aircraft in a single morning. That was when hijacking transformed into terrorism. But MH370 wasn't flown into a building or a city center, and it certainly could have been. They could have flown it along the original flight plan and then crashed it into Beijing. 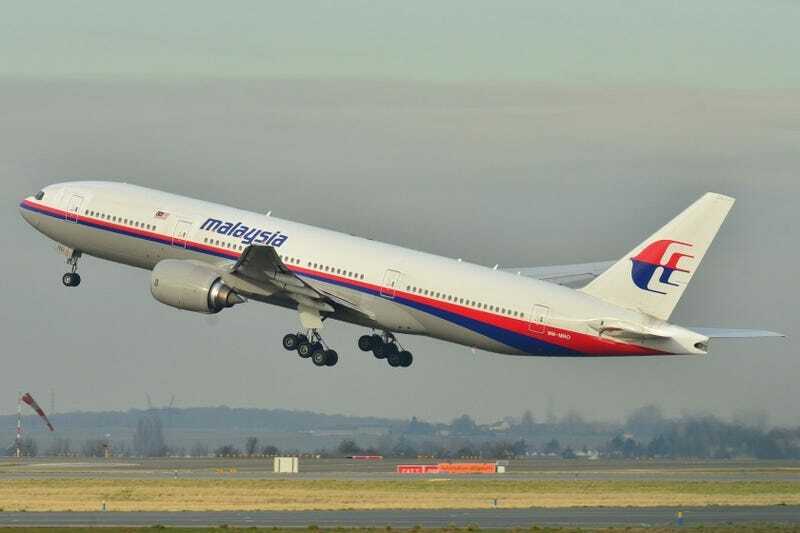 They could have turned around—everyone would have assumed it had an emergency and was returning—and then crashed it into Kuala Lumpur. The hijackers had free rein of the sky, and even subtle traces of them—revealed by ACARS data bursts—took days to figure out, so they could have crashed that 777 anywhere within about a seven hour range based on that day's fuel load. But they didn't. So WHERE they went is now slightly less important than WHY. Hijackers, that we should absolutely assume are terrorists, now have control of a heavy, long-range, transport vehicle. It hasn't been found in pieces in the ocean or sprawled out across a rural field, so we need to assume that it is safely hidden on the ground somewhere. Even if the terrorists only loaded it up with classical explosives, the 777's cabin and cargo bays capacity could destroy an entire city. And that's just with traditional ordinance. No weapons of mass destruction were found in Iraq, but it would be naive to assume that none exist anywhere in the world. I am worried that the first terrorist-controlled weapon of mass destruction (maybe biological, maybe chemical, maybe nuclear) is now being married with the Boeing 777 in some remote airfield. While that aircraft is missing, we need to put our nation at high alert, or red alert, or DefCon-3, or however our government activates the highest military readiness, and alert the rest of the world to do their equivalent. And we need to ask ourselves what is our tolerance to shoot down MH370 upon discovery of it back in flight?